Oxidation number of an atom is the charge that atom would have if the compound is composed of ions. It represents the number of electrons an atom gains or losses when bonded with other atom in a molecule. As for example the oxidation number of chromium in CrCl3 is +3. Oxidation number is the number of electrons an atom gains or losses to form that compound. There are rules to calculate oxidation number. When any atom has different oxidation number than expected, we can calculate that by looking how much charge is needed to achieve zero for neutral atom or charge on ion for ions, after sum up the charge on other atoms. The sum of the oxidation number of the neutral compound is zero. e.g. the sum of the oxidation number of NaCl is zero. Here the oxidation number of sodium is +1 and chlorine is -1. The oxidation number of an atom is zero in a neutral substance that contains atoms of only one element. e.g. the oxidation number of atoms in Al and N2 is 0. Oxidation number of Group I metals are +1 and and Group II metals are +2. e.g. the oxidation number of magnesium in MgCl2 is +2 which is group II element and chlorine is -1. And sum of the oxidation number is zero. The oxidation state of hydrogen is normally +1 but when it is bonded with metal the oxidation number is -1. e.g. in NaH and LiH, the oxidation number of hydrogen is -1. Generally the oxidation state of oxygen is -2. But compounds like H2O2 and Na2O2, oxidation number of oxygen is -1. The oxidation number of fluorine is always -1 but the oxidation number of chlorine differs in different compounds. Oxidation is an increase of oxidation number. 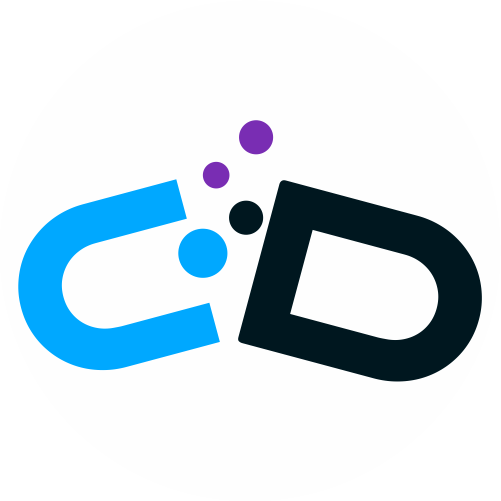 Reduction is a decrease of oxidation number. 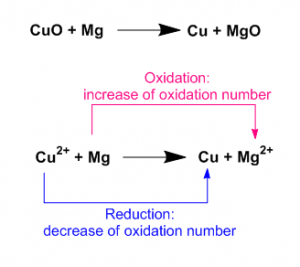 As for example a reaction between cupper(II) oxide and magnesium is an oxidation reduction reaction. Here the oxidation number of Magnesium increases from 0 to +2. So this is an oxidation process. On other hand Cupper(II) ion reduced to Cupper. The oxidation number decreases from +2 to 0. Find the oxidation number of sulphur in Na2SO4. 2. Find the oxidation number of bromine in BrO4–. Oxidation number of an atom is the charge that atom would have if the compound is composed of ions. When any atom has different oxidation number than expected, we can calculate that by looking how much charge is needed to achieve zero for neutral atom or charge on ion for ions, after sum up the charge on other atoms.